This post comes from Fishbowl Solutions’ Senior Solutions Architect, Seth Richter. More and more organizations need to merge multiple Windchill instances into a single Windchill instance after either acquiring another company or maybe had separate Windchill implementations based on old divisional borders. Whatever the situation, these organizations want to merge into a single Windchill instance to gain efficiencies and/or other benefits. The first task for a company in this situation is to assemble the right team and develop the right plan. The team will need to understand the budget and begin to document key requirements and its implications. Will they hire an experienced partner like Fishbowl Solutions? If so, we recommend involving the partner early on in the process so they can help navigate the key decisions, avoid pitfalls and develop the best approach for success. Moving data from one Windchill system to another manually is always an option. This method might be viable if there are small pockets of data to move in an ad-hoc manner. However, this method is extremely time consuming so proceed with caution…if you get halfway through and then move to a following method then you might have hurt the process rather than help it. This process can be a cost effective alternative, but it is not as robust as the Windchill Bulk Migrator so your requirements might dictate if this is viable or not. This is a powerful, complex tool that works great if you have an experienced team running it. Fishbowl prefers the PTC Windchill Bulk Migrator in many situations because it can complete large merge projects over a weekend and historical versions are also included in the process. A recent Fishbowl project involved a billion-dollar manufacturing company who had acquired another business and needed to consolidate CAD data from one Windchill system into their own. The project had an aggressive timeline because it needed to be completed before the company’s seasonal rush (and also be prepared for an ERP integration). During the three-month project window, we kicked off the project, executed all of the test migrations and validations, scheduled a ‘go live’ date, and then completed the final production migration over a weekend. Users at the acquired company checked their data into their “old” Windchill system on a Friday and were able check their data out of the main corporate instance on Monday with zero engineer downtime. Fishbowl Solutions’ PTC/PLM team has completed many Windchill merge projects such as this one. 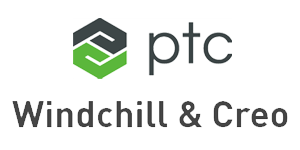 The unique advantage of working with Fishbowl is that we are PTC Software Partners and Windchill programming experts. Often times, when other reseller/consulting partners get stuck waiting on PTC technical support, Fishbowl has been able to problem solve and keep projects on time and on budget. If your organization is seeking to find an effective and efficient way to bulk load data from one Windchill system to another, our experts at Fishbowl Solutions are able to accomplish this on time and on budget. Urgency is a priority in these circumstances, and we want to ensure you’re able to make this transition process as hassle-free as possible with no downtime. Not sure which tool is the best fit for your Windchill migration project? Click the Contact Us tab, to reach out to Rick Passolt in our business development department for more information or to request a demo. Seth Richter is a Senior Solutions Architect at Fishbowl Solutions. Fishbowl Solutions was founded in 1999. Their areas of expertise include Oracle WebCenter, PTC’s Product Development System (PDS), and enterprise search solutions using the Google Search Appliance. run with the option -Djavax.net.ssl.trustStore=/path/to/trustStore.jks to specify which keystore to use for SSL certificates. It was really easy to run ps -ef | grep trustStore to quickly identify which keystore we needed to import certificates into. I’ve also been able to use various find and grep commands to search through unfamiliar directories after exporting metadata from Oracle’s MDS Repository. Even if you aren’t on the command line, I’d encourage everyone to learn something new about their development environment. Feel free to share your favorite Vim and command line tips in the comments!